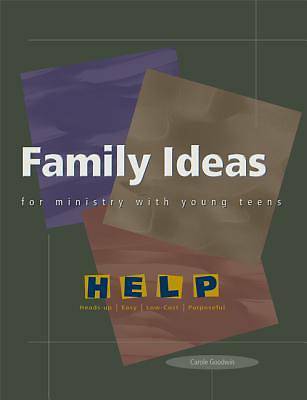 The Help series consists of seven books of ministry strategies to use with young teens. The series contains over 150 field-tested ideas that catechists, teachers, youth ministers, and other adult leaders can use as building blocks for a solid youth ministry component to complement other parish and school activities geared for young adolescents. The authors and consultants behind the series are all professional ministers who have extensive experience with young teens. The strategies vary in the length of time and amount of preparation required, but all have the same objective: to forge a positive connection between young people and their faith communities.